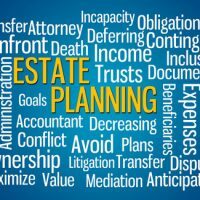 As experienced New York estate planning and asset protection attorneys, we guide people in strategies that can help protect them in the event they require long term care as the result of an injury or illness. Unfortunately, the chances of eventually suffering some type of health condition that results in long term disability are high. Take the steps now to be aware of the potential dangers and how you can reduce your risks. While you may have taken some of the steps needed to ensure your family is provided for in the event of your sudden passing, such as having a will, trust, and life insurance policies in place, few people factor in how common disabilities are. According to the Council for Disability Awareness (CDA), roughly one out of every four 20-year-olds will eventually become disabled at some point before they reach retirement age. While accidental injuries can often be to blame, the most common causes tend to be chronic health conditions such as cancer, heart disease, and back or neck pain. Consider long term disability insurance: In addition to the life and health insurance policies you have in place, consider investing in disability insurance. This may be offered through your employer or you may be able to purchase a private plan. Put away extra in savings: If you do not have disability insurance, consider increasing your savings. While an emergency fund might typically include three to six months worth of living expenses, consider a fund that would meet longer disability requirements. Make safety a priority: Whether driving, walking through your neighborhood, or engaging in sports and recreational activities, make safety a priority to prevent the types of accidents that result in disabling injuries. Avoid dangerous behaviors such as speeding, being distracted, or participating in activities while under the influence. Take care of your health: When serious health conditions are caught early, it reduces the impact they can have on your life. Go in for regular checkups and screenings with your family doctor and follow all of their recommendations in terms of diet, exercise, and medications. Reconsider your job: If you are employed in a field that involves working with hazardous substances, performing dangerous tasks, or puts you at risk for overuse injuries, you may want to reconsider your professional goals. Finding a job that is less demanding can add years to your overall quality of life. At Cavallo & Cavallo, we are dedicated to protecting you and your loved one, regardless of what the future might holds. To discuss how we can assist you, contact our New York estate planning and asset protection attorneys and request a consultation in our Bronx or New Rochelle office.